Brides, Grooms and party planners, are you feeling overwhelmed planning your wedding or event? Do you want someone to take the stress and pressure away from you regarding the worries you may have about your event not flowing smoothly, not being organized, not being "memorable", not being entertaining enough for your guests, causing them to get bored and leave right after they eat? 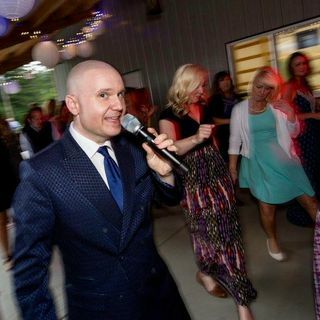 That’s what we'll be discussing today with Scott Fijolek, an expert in the wedding & event ... See More industry for 25 years, who was named as one of the top 12 Interactive DJ/MC's in the nation in a competition with over 3,000 of the best companies.